A study was conducted to extract calcium chloride from eggshell and also to check the effect of commercially available and extracted calcium chloride on quality characteristics of fresh-cut fruits. Eggshells were mixed with a hydrochloric acid solution and stirred occasionally until no gas bubbles were observed (3 h). The mixture was centrifuged at 3500 rpm for 10 min at 4 °C, the supernatant was separated and heated to 110–115 °C until dried, this yielded calcium chloride crystals or eggshell calcium chloride. The fresh-cut fruit cubes were separately dipped in a solution of 2% calcium chloride extracted from egg shell and 2% commercially available for 5 min. The cubes are packed in polypropylene plastic bags and stored at 5 °C. Analyses were done at 5-day intervals for a time period of 25 days. The microbial count, physical (firmness, weight loss and color), chemical (pH, titratable acidity, total soluble solids, DPPH, reducing sugar, total phenolic content, and ascorbic acid content), and sensory analysis were determined at regular interval throughout the storage period. Calcium chloride extracted from egg shell was capable to maintain shelf-life for 15 days, whereas commercial calcium chloride was able to maintain shelf-life for 20 days. This shows calcium treated fresh-cut fruits have an improved and enhanced shelf-life than control (non-treated samples). The study proved that dipping fresh cut fruits in CaCl2 solution (extracted from eggshell and commercially available) extend its shelf-life for 15 days. Eggs are nutritious, readily available, inexpensive source of food consumed by majority of population worldwide (Coorey et al. 2015). Eggshell is the physical barrier for the chicken embryo which prevents it from the microbial invasions. The huge consumption of eggs leads to a huge amount of eggshell waste generation, leading to landfill disposal problems. Several methods have been identified to utilize the waste eggshells in various applications (Park et al. 2007). Eggshells are rich in salts like calcium carbonate, calcium phosphate, magnesium carbonate, and organic substances (Garnjanagoonchorn and Changpuak 2007). Calcium salts can be extracted from eggshell (Chakraborty 2016) and it can be used as a nutrient supplement, a stabilizer and a thickener in food applications. Calcium salt is used as a firming agent to preserve the quality of fresh fruits and vegetables. The most common use of calcium chloride is for the preservation and maintenance of the firmness of fresh fruits (Martin-Diana et al. 2007). It has various applications such as delaying post-harvest aging, minimize decay and control development of physiological disorders (Conway et al. 2002). Calcium chloride stabilizes the membrane system and forms Ca-pectates leading to the increased firmness of the fresh produce (Mishra 2002). A study by Conway and Sams (2002), claimed that the strengthening and stabilization of the cell wall helped against fungal attacks; calcium is also harmful against the enzyme produced by fungal attacks, hence delaying the aging of fruits. There is a huge demand for fresh-cut produce by consumers. However, the short shelf-life of fresh fruits is a major drawback. Innovative techniques for the extension of the shelf-life of fresh-cut fruits and vegetables have merged over the last few decades. The most common techniques being: bio-preservation, chemical, and physical methods. Guava (Psidium guajava L.), Papaya (Carica papaya L.) and muskmelon were used for the study since they are highly perishable and lose their firmness after cutting. Guava is rich in dietary fibers, vitamin A, B and C along with some minerals like calcium, iron and phosphorous, and potassium (Jiminez-Escrig et al. 2001). Due to changes in its climatic characteristics and higher metabolic process guava fruits has a faster rate of softening which can reduce its shelf-life (Inam-ur-Raheem et al. 2013). Papaya is a seasonal tropical fruit having limited shelf-life and it contains a wholesome amount of lycopene, proteins, complex carbohydrates, and vitamin A (Waghmare et al. 2013). Therefore, solutions need to be developed to overcome these hurdles and maintain the quality characteristics of the selected fresh-cut fruits. Hence, the objective of this research was to extract calcium chloride from eggshell which is waste and to comparatively analyze the effect of commercially available and extracted calcium chloride on quality characteristics of fresh-cut fruits for shelf-life extension. Here the paper will help to provide the alternative use of eggshell as a valuable source to maintain profitability and sustainable poultry production process. Chicken eggshells collected from a local store for the experiment. Fresh papaya (Carica papaya), guava (Psidium guajava L.), musk melon (Cucumis melo) were purchased from local agriculture produce market, Navi Mumbai. Purchased fruits were stored under refrigerated conditions (5 ± 2 °C) until further use. Polypropylene (PP) films were used to make packets that were used as packaging materials. The dimensions of packaging material were 20 cm length × 15 cm width with a thickness of 25 µm. Laboratory grade reagents were used for the analysis. Analytical grade calcium chloride and hydrochloric acid were obtained from HiMedia Laboratories, Mumbai. Calcium chloride was extracted from eggshell by method described by Garnjanagoonchorn and Changpuak (2007). Physicochemical analysis (pH, total soluble solids, firmness and weight loss) of raw and treated samples was determined using the method described by Waghmare and Annapure (2015). Whereas, reducing sugars were determined according to the technique described by Bashir and Abu-Bakr (2003). The color of fresh-cut guava sample was determined using a HunterLab Colorimeter (LabScan XE) as described by Gat and Ananthanarayan (2016). The DPPH antioxidant assay was performed by modifying the method described by Issa et al. (2013). Sensory analysis of diced guava, muskmelon, papaya cube was done by a ten member of trained panel. The texture, appearance, aroma, decay, overall acceptability was evaluated as per procedure (Memon et al. 2018). The products were evaluated on the 9 points hedonic scale. The microbial load of diced fresh-cut guava from each packet was evaluated by the standard plate count method as the method described by Najafi and Khodaparast (2009). Agar media was used to determine mesophilic aerobics count, whereas, potato dextrose agar was used to determine yeast and molds count. All data were analyzed in triplicates and results were expressed as means ± standard deviations. One-way analysis of variance (ANOVA) was carried out with the help of statistical analysis software (SPSS, ver. 16.0) to specify significant differences (p ≤ 0.05) within treatments. pH is one of the most important analytical measurements in food processing. It is a direct measurement of acid content and it plays a significant role in food processing specifically for the shelf-life or shelf stability of a particular product. The pH value of different samples treated differentially is given in Table 1. The treatment given to different samples showed a noteworthy decrease in pH value with an increase in the storage period of 20 days. The most significant decrease in pH was found in control sample followed by CaCl2 egg sample and CaCl2 lab sample. The initial pH of papaya samples treated with CaCl2 extracted from eggshell (T1) and CaCl2 commercially (T2) on day 0 was 4.88 and 4.92 respectively, while non-treated sample (NT1) on day 0 was 4.875. The pH value for all the samples decreased during shelf-life studies. The decreased value for T1, T2, and NT1 were 4.07, 4.24, and 3.80, respectively. As the decrease in pH value was in the control to a greater extent, the reason might be, due to the oxidation of acid during storage resulting in lower pH and also the reason could be genetic dissimilarities between different species. The decrease in pH values from 4.87 to 3.80, 5.56–4.05 and 4.07–2.3 for control samples of papaya, muskmelon, and guava during the shelf-life might be related with the development of microorganisms bringing about ensuing development of organic acids (Heard 2002). Weight loss of fresh-cut Guava, Papaya, and Muskmelon fruits are shown in Table 2. Weight reduction of fresh produce is an imperative parameter and associated directly with economic losses. Chemical treatment with CaCl2 reduced the weight loss of fresh cut guava, muskmelon and papaya significantly during the storage period of 20 days. A significant lessening in weight loss was seen among the treated and non-treated example. Juice drop in freshly cut guava, muskmelon and papaya were observed on 15th day during storage of non-treated sample. From the data given in Table 2, it can be observed that the weight loss of fruit treated with CaCl2 lab was minimum followed by CaCl2 egg and control for freshly cut fruits. No juice drop was observed during the storage period of 20 days for treated samples. The decrease or no weight loss could be because; the calcium strengthens the cell wall and preserves the structural and functional integrity of membranes systems. The treatment with CaCl2 obtained from egg and lab scale CaCl2 reduced the weight loss of fruits during the storage period. Similar results were obtained when treatment was carried out on papaya (Waghmare and Annapure 2015). TSS of fresh-cut guava, papaya, and muskmelon during shelf-life study of 20 days is shown in Table 2. TSS content directly indicates the ripening stage of a particular fruit. From the data, it was observed that during storage there was an increase TSS in both treated and non-treated samples. TSS content in fresh-cut fruits treated with CaCl2 obtained from lab and egg was significantly lower as compared to non-treated samples after 20 days. The total soluble solids on 0 day and 20th day of treated and the non-treated sample was found to be 4.295, 6.505, respectively, for non-treated papaya sample, 4.28, 5.215 for papaya treated with CaCl2 egg, 4.25, 5.19 for papaya sample treated with CaCl2 lab. All the data obtained from the study is shown in Table 2 showing the rate of increment of TSS was slower in both treated samples during the period of 20 days of storage. However, the results are closely related and hence the treatment of calcium chloride can be used for maintaining the TSS of fresh-cut produce. These results are in agreement with study reported by Saxena et al. (2008) and Almenar et al. (2008). The firmness of fresh produce is an essential factor which influences its quality. Table 3 shows the firmness of fresh-cut fruits stored at 5 °C for 25 days. Calcium chloride treatment retained the firmness of sliced pear and strawberry fruits (Rosen and Kader 1989). Calcium ion collaborate with pectic polymers and structure a cross-connected polymer network which results to give increments in mechanical strength and henceforth postpones senescence and controls the physiological properties of fresh produce (Poovaiah 1986). The firmness of the treated sample was high compared to that of the non-treated samples which was excessively low. Subsequently the outcomes demonstrate that calcium chloride preserve better firmness of fresh-cut papaya, muskmelon, and guava. Consumer acceptability of a food product is strongly dependent on the color of the product. The l*, a*, b* values obtained are shown in Table 3. a* values indicate the changes in samples treated differently. l* value decreased for all freshly cut fruits treated and non-treated. The degree of decrease in l value is higher in the control sample as compared to the treated sample. The most efficient l* value was obtained for CaCl2 Lab. The a* value also showed a significant decrease for all freshly cut fruits during the storage period. Similarly, the b value decreased significantly in control samples with respect to treated samples. The decrease in l*, a*, b* values may be because of the potential of calcium which basically imparts stability to vacuole of the cell, the greater decrease in control sample then can be considered as decreased stability because of the absence of calcium. Thus, the results show that freshly cut guava, muskmelon, and papaya treated with CaCl2 lab sample had improved l*, a*, b* values during the storage period. Gonzalez-Aguilar et al. (2009), observed that the chitosan coating was able to retain the color during storage. Being one of the most common, commercial as well as accurate method for the determination of the antioxidant activity, the DPPH assay was used. The optical density of different samples treated chemically as well as non-treated is shown in Fig. 1. A negative trend in optical density was found in all the samples during the storage study. The data show the increase in storage period and the decrease in percent scavenging activity. The reason for this could be free radicals being one of the major substances responsible for various reactions. With the increase in the storage period, this free radical gets scavenged by the antioxidant molecule and ultimately reduces the amount of free radical on the 20th day and hence due to the reduction in free radical the scavenging activity is reduced with time. Percent scavenging activity from 0 to 20 days of the control sample decreases from 90.3 to 6.52%, for the sample treated with CaCl2 egg decreases from 90.10 to 16.92% and for sample treated with CaCl2 lab decreases from 90.66 to 29.30% and ascorbic acid equivalence decreases from 33.19 to 1.46 mM AAE, from 0 to 20 days of control sample, 33.08–5.9 mM AAE of CaCl2 egg sample, and 33.29–10.08 mM AAE of CaCl2 lab sample respectively in case of Papaya. Percent scavenging activity from 0 to 20 days of control sample decreases from 90.88 to 9.06%, for CaCl2 egg sample decreases from 90.77 to 11.69% and for CaCl2 lab sample decreases from 91.33 to 28.74% ascorbic acid equivalence is decreased as the interval of the sample were increased. In the table ascorbic acid equivalence decreases from 33.38 to 2.48 mM AAE, from 0 to 20 days of the control sample, 33.34–3.42 mM AAE of CaCl2 egg sample, and 33.55–9.87 mM AAE of CaCl2 lab sample, respectively, for muskmelon. Percent scavenging activity from 0 to 20 days of control sample decreases from 90.43 to 1.79%, for CaCl2 egg sample decreases from 90.43 to 10.46% and for CaCl2 lab sample decreases from 90.43 to 23.502%. Ascorbic acid equivalence is decreased as the interval of sample was increased. In the table, ascorbic acid equivalence decreases from 33.21 to 0.51 mM AAE, from 0 to 20 days of the control sample, 33.21–2.95 mM AAE of CaCl2 egg sample, and 33.21–7.89 mM AAE of CaCl2 lab sample in case of guava. ANOVA showed a significant increase in the content of reducing sugar of all freshly cut fruits at different stages of storage. The results obtained are shown in Fig. 2. The values indicate that the content of reducing sugar increased to a higher level as compared to the treated sample (CaCl2 lab and CaCl2 egg). Reducing sugar activity from 0 to 20 days of control sample increases from 7.42 to 17.33%, for CaCl2 egg sample increases from 6.91 to 15.59% and for CaCl2 lab sample increases from 6.95 to 15.3% for papaya fruit. Reducing sugar activity from 0 to 20 days of control sample increases from 6.79 to 17.9%, for CaCl2 egg sample increases from 6.89 to 17.21% and for CaCl2 lab sample increases from 6.84 to 16.54% for muskmelon fruit. Reducing sugar activity from 0 to 20 days of control sample increases from 8.83 to 18.59%, for CaCl2 egg sample increases from 8.83 to 15.93% and for CaCl2 lab sample increases from 8.83 to 12.98% for Guava fruit. The results explain that sugar content of freshly cut fruits progressively increased with increase in storage period. The reason for the lower extent of increase in the treated sample might be because of delayed ripening which resulted in less amount of carbohydrate into simple sugar moieties (Miller 1959). Different sensory attributes for all the samples are shown in Table 4. The data represents a significant decrease in some parameters. Aroma and texture were the important parameters considered by the panelists. As compared to treated samples, non-treated samples a showed significantly slower decrease in sensory attributes. The color of non-treated samples was deteriorated significantly while treated samples were acceptable. Aroma deteriorated within 5–15 days for non-treated samples whereas for treated samples deteriorated after 15 days. Aroma of fruits treated with CaCl2 obtained from lab was acceptable to a greater extent. The texture was unacceptable for non-treated sample, whereas it also decreased towards softness, however, CaCl2 lab had more acceptable texture followed by CaCl2 egg and control. Decay of all the fruits was observed on the 20th day for CaCl2 egg and control but CaCl2 lab did not cause decay within 20 days of storage. The overall acceptability varied significantly during storage of all freshly cut fruits. Sensory attributes of CaCl2 lab was found to be most effective as compared to other samples. The combined study of CaCl2 egg and lab sample can store the fresh-cut fruits for 15–20 days with little loss of sensory quality. The reason for the increase in some of the sensorial attributes for treated samples because of incorporation of calcium into the cell wall of fruits conferring them resistance to infection and deterioration (Wang et al. 1993). Microbial counts of mesophilic, aerobic bacteria and yeasts and molds of selected fresh-cut produce are shown in Table 5. There was an increase in the microbial count of mesophilic, aerobic bacteria and yeasts and molds during the storage period. Total plate count (TPC) was carried out for all the fruits with treatments or without treatment, it can be observed that with an increase in storage period of 20 days the microbial count increases, however, chemically treated samples are deteriorated to a lower level as compared to non-treated samples. Amongst the chemical treatment of fruits, treatment with lab CaCl2 was found to be most effective as it reduced the microbial count to the much lower level which is followed by sample treated with CaCl2 obtained from egg and control. Some more studies showed that microbial count increases with storage period, but significant decrease in the treated sample can be seen and are increasingly helpful for restraining the development of mesophilic, aerobic bacteria and yeasts and molds, the combination of CaCl2 obtained from lab and CaCl2 obtained from the egg is much better (Nasution 2015). The reason for reduced growth in treated samples might be as CaCl2 is a type of salt that elevates osmolality due to salt addition. This may trigger the osmoregulatory process and diminished bacterial development (Yaganza et al. 2009). 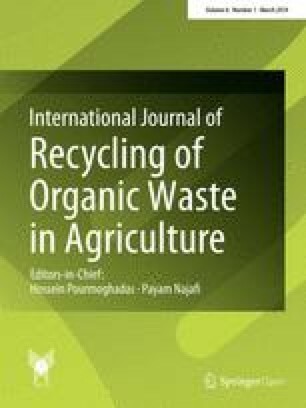 The study of fresh-cut muskmelon, papaya and guava were treated with calcium chloride solution aids to maintain firmness, texture, color, and also reduces its microbial activity, however, its physiochemical properties show gradual increase in pH, total solids and reducing sugar, whereas it shows a decrease in antioxidant scavenging activity and weight in its shelf-life study till 20 days (at 5-day intervals). In the comparative studies of commercial calcium chloride and calcium chloride extracted from eggshell, commercial calcium chloride showed better results in all analysis compared to those of calcium chloride extracted from eggshells. Calcium chloride extracted from eggshell was still capable to maintain shelf-life for 15 days, whereas commercial calcium chloride was able to maintain shelf-life for 20 days. This shows calcium treated fresh-cut fruits have an improved and enhanced shelf-life than control (non-treated samples).